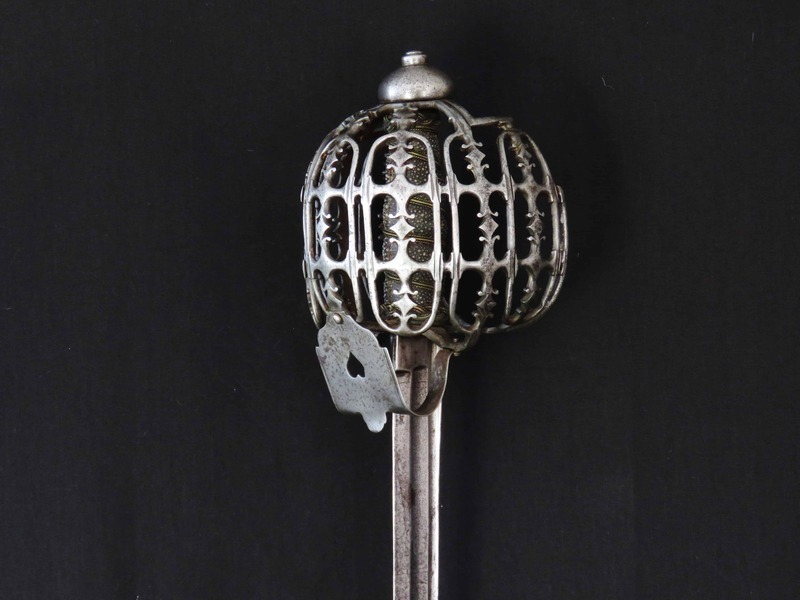 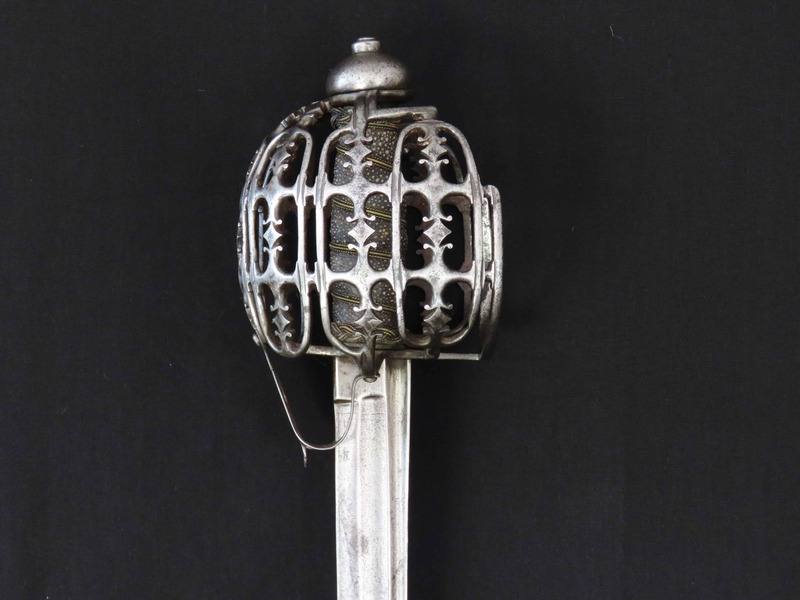 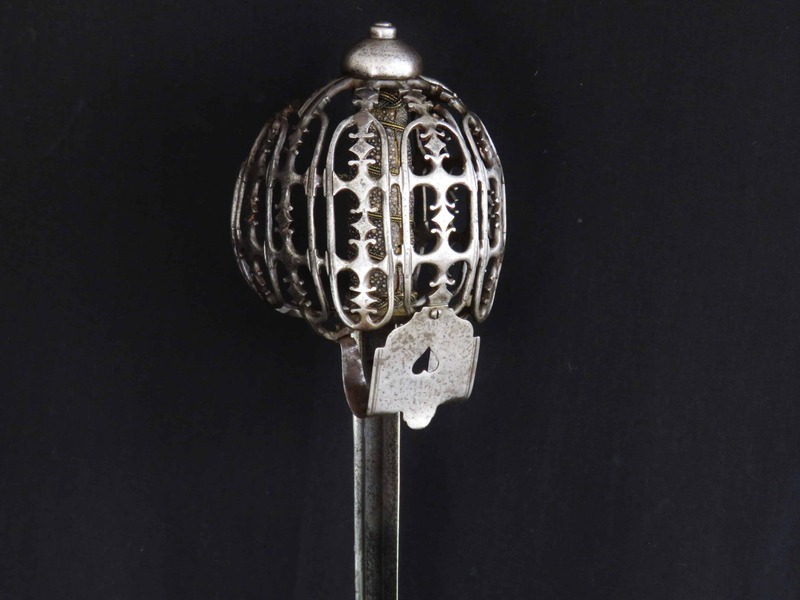 An attractive mid 18th century English silver hilted small sword with hallmarks for London 1762/3. 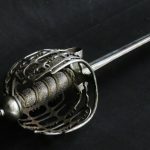 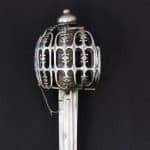 The maker is John Carman (II) circa 1721-1764, one of the most well-known makers of silver hilted swords working in London, and whose work is of the highest English standard. 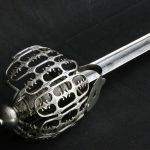 John is recorded as being indentured to his father at the age of fourteen for seven years as a sword cutler. 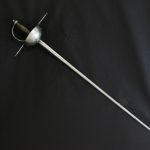 He was sword free by servitude of the Cutlers’ Company in 1743. 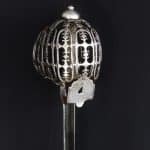 John registered his first maker’s mark in 1748 and was later advertising himself from his Holborn premises as a Goldsmith & Sword Cutler. 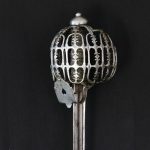 He died in 1764 aged 43 and was buried at St Andrews Church in Holborn. 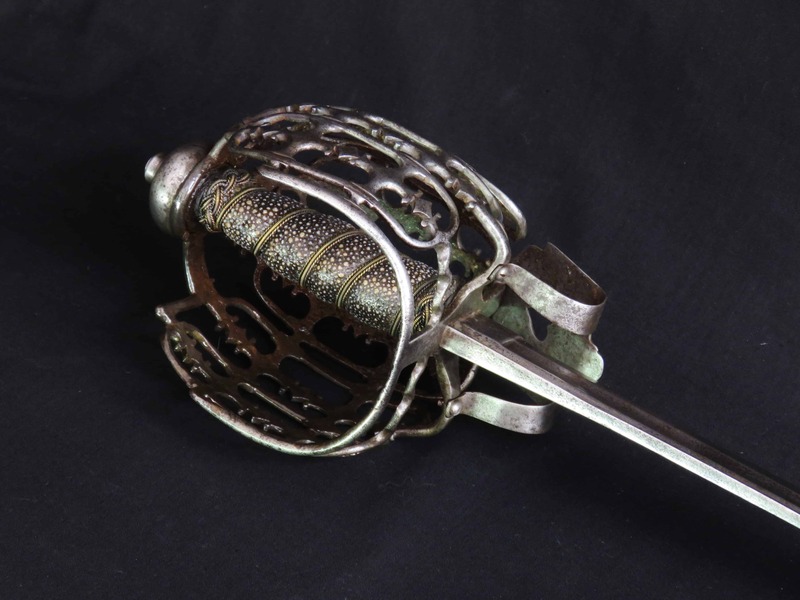 The hilt consists of pas d’ane rings, knucklebow and quillons front and back, plus a shell guard with attractive ribbed and moulded borders. 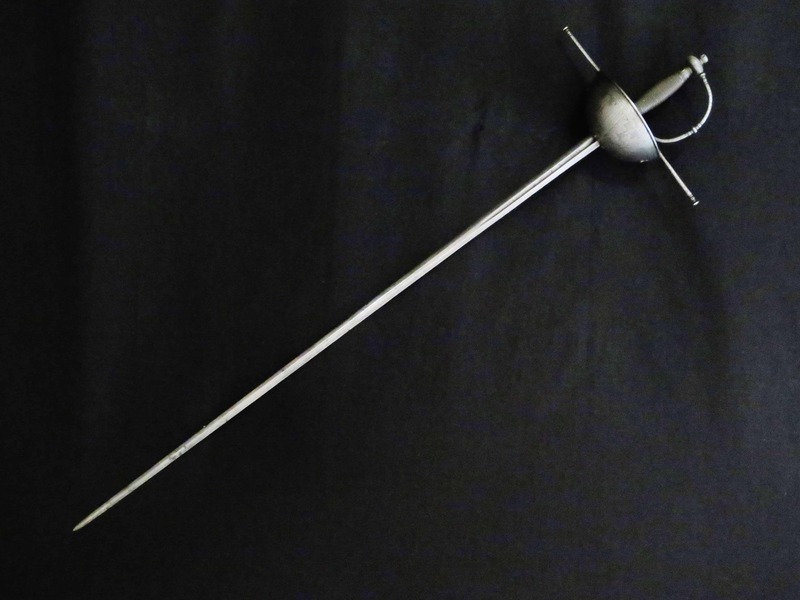 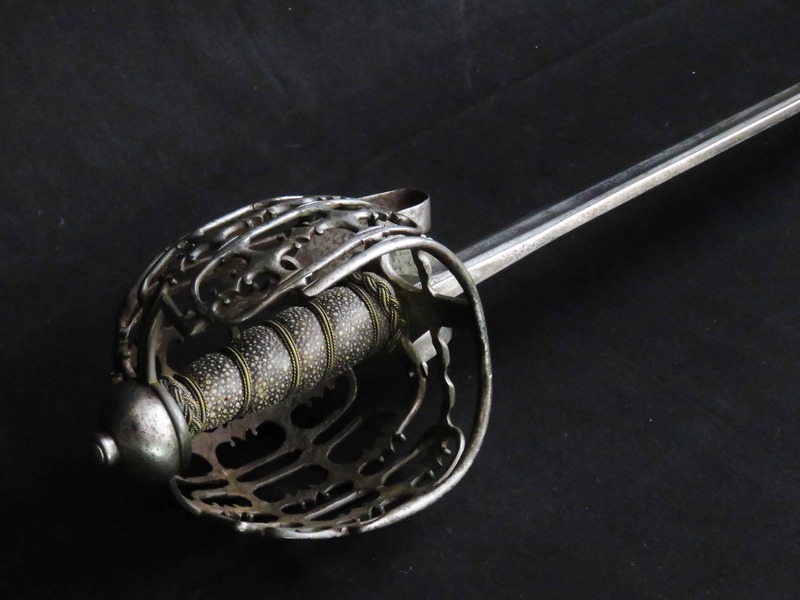 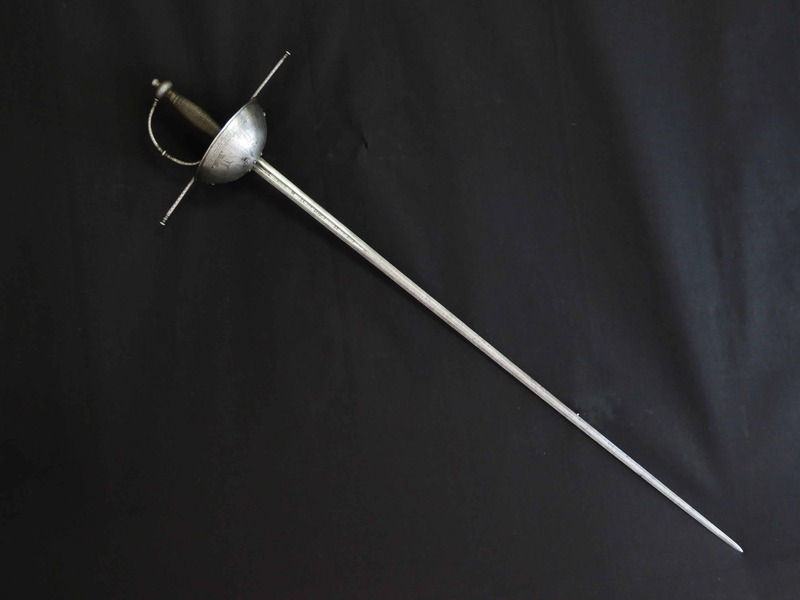 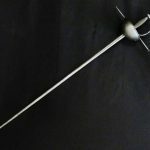 The hilt is in fine form without noticeable dents, bangs or bruises. 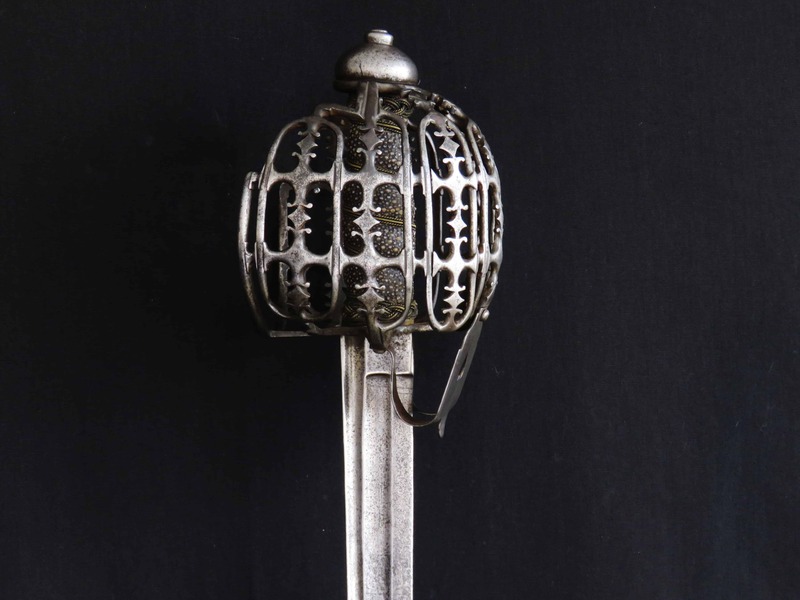 There are no losses or repairs and the guard has maintained its original pleasing outlines. 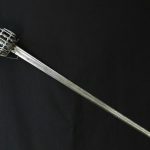 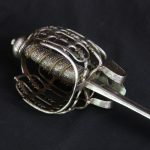 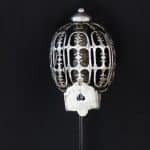 The grip consists of silver wire (alternating flat and twisted) spiral binding applied over a baluster shaped wooden core, with silver collars mounted top and bottom. 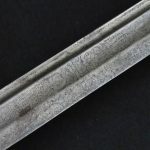 The hallmarks, maker and date marks are clearly stamped on on the pas d’ane rings with the maker’s mark and lion repeated on the underside of the shell either side of the tang aperture within a bordered rectangle. 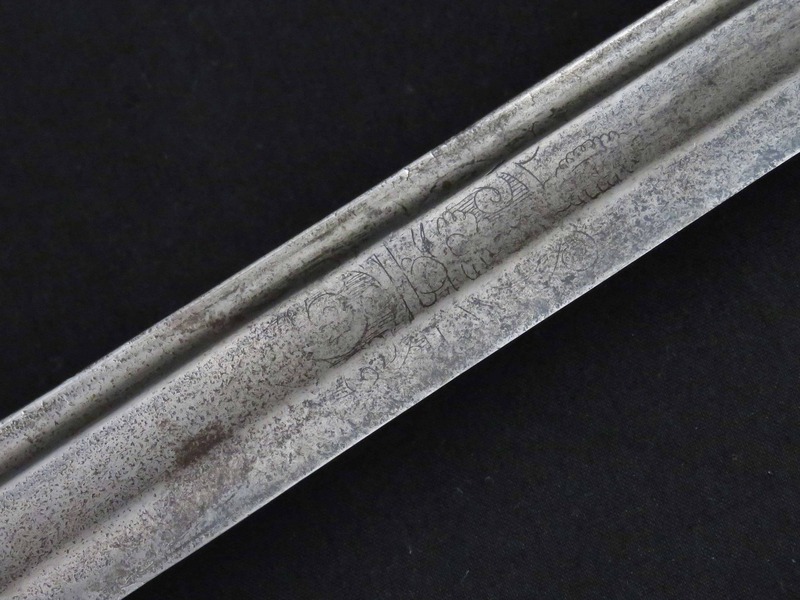 The maker’s mark is “I C” with a pellet between in raised relief inside a depressed panel. 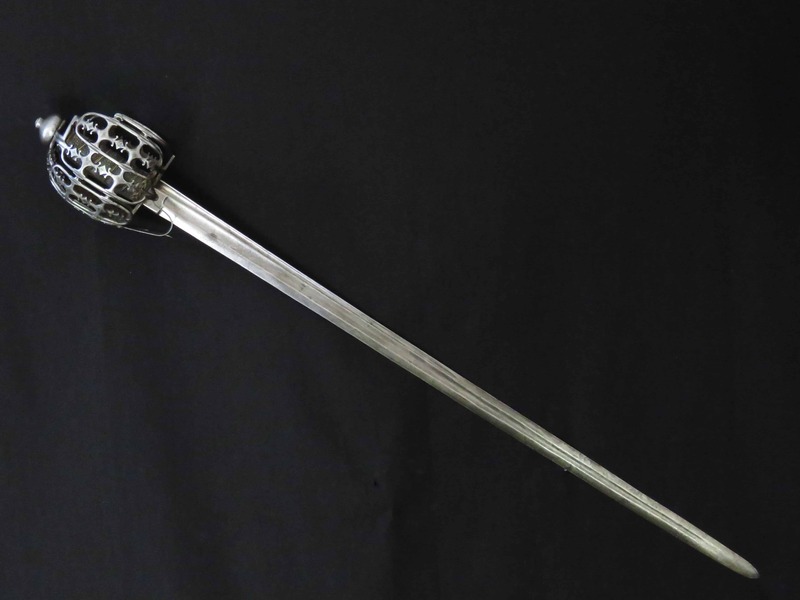 The tapering, hollow ground, triangular section blade is 32.25 inches (81.5 cm) long and overall the sword is just over 38.5 inches (just under 98 cm). 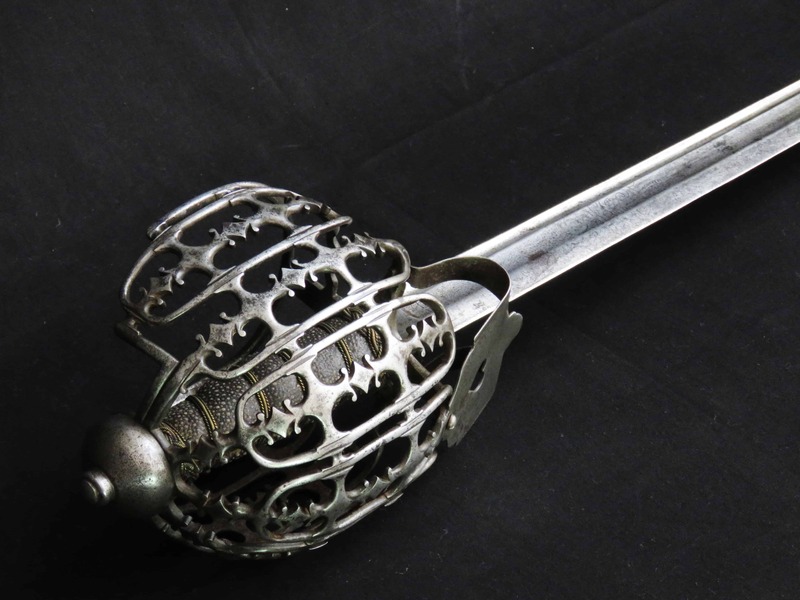 The blade is lightly engraved on its three sides at the forte with foliate designs and scrolls, now a little worn. 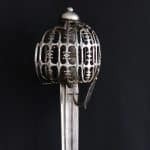 For similar swords by London silver smiths see “London Silver-hilted Swords” by Leslie Southwick, Royal Armouries, 2001, and for further information on the working life of John Carman specifically, see pages 63 and 64.